Took a couple guys inshore fishing today in some very cold conditions. 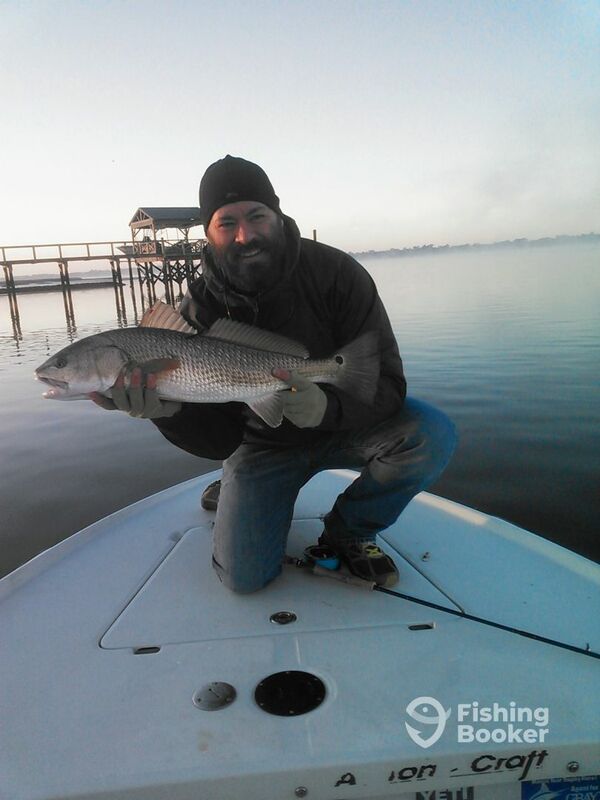 We struggled at first, then finally found a school of Redfish that were willing to cooperate. We managed 5 nice fish between 6 and 10 pounds before the tide got up and they moved into the grass. Due to the winds today, we tried a little freshwater fishing for Shad on the Tailrace Canal. First showed up to a full boat landing and thought we would never find room where the fish congregate. Next realized the Bass tournament going on and only a handful of boats on the river Shad fishing. We were anle to land numerous fish on fly and a dozen or better on the spinning rods. Due to the winds today, we tried the Tailrace Canal again for Shad. The landing was dead today due to the misty and windy conditions. Despite the weather we were able to land over a dozen on the spinning rods.